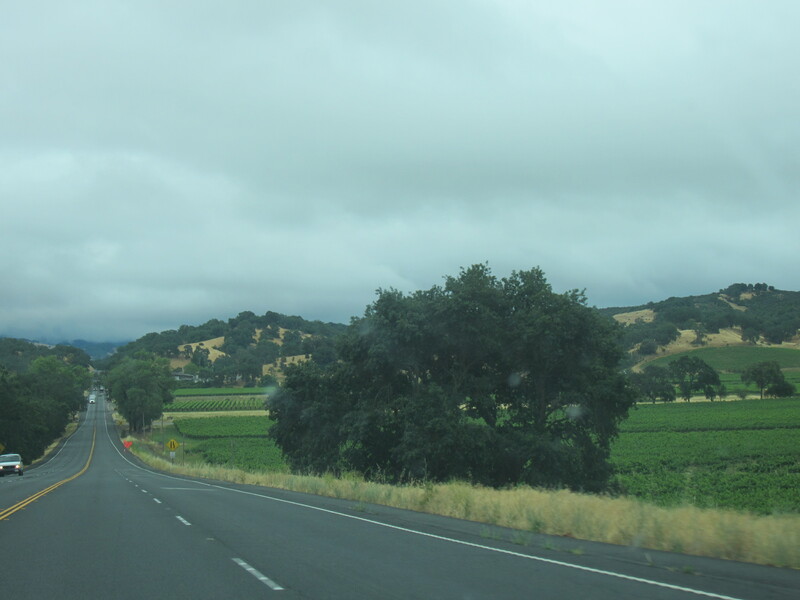 As we set out to Napa Valley from Eureka I asked Sean if he thought the landscape would change along the California coast or if Napa was just carved out the same landscape we saw in Eureka. He said it would change and he was right. 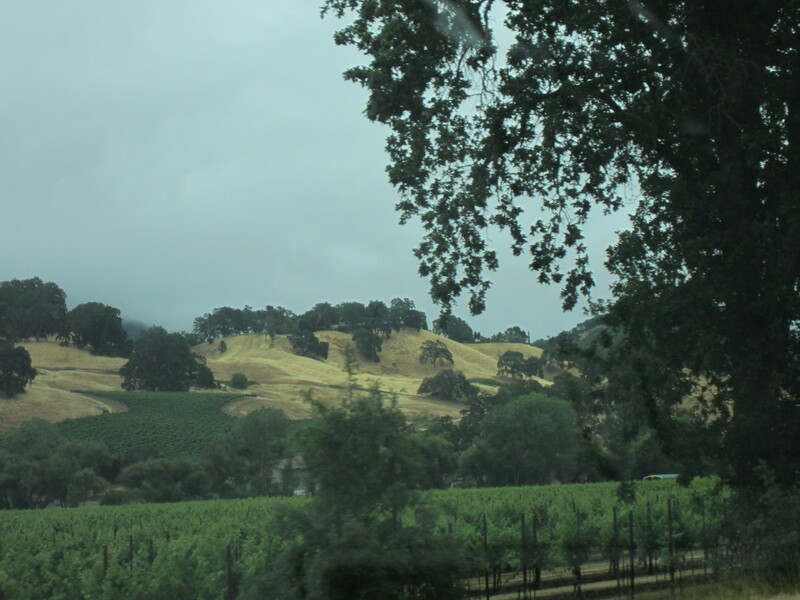 Despite the fact that so much of our produce comes from California, as you get closer to Napa the landscape is covered in what looks like water deprived brown grass. No, the brown grass did not deter my “it’s so beautiful”s. My cousin, Nicole, lives in Napa Valley. 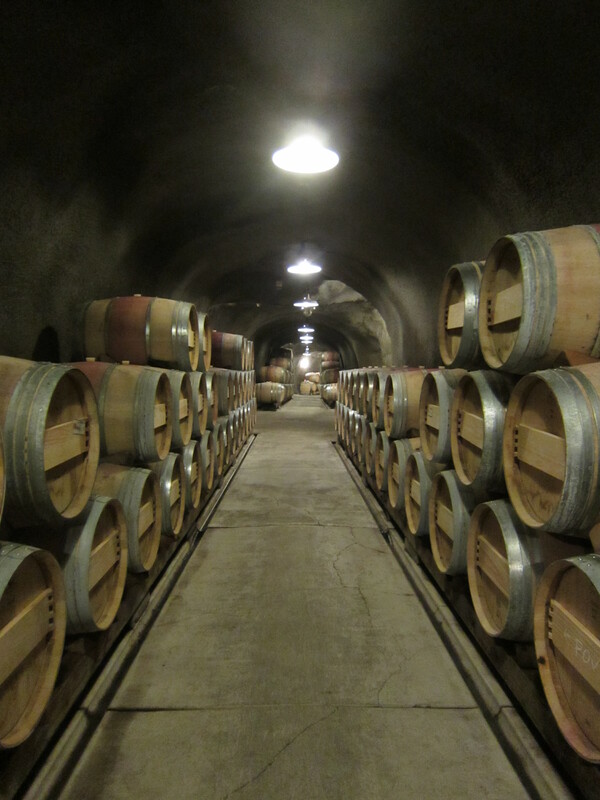 Nicole went to California to study wine after graduating from the CIA about 6 years ago and loved it so much she never came back. I can completely understand why someone would fall in love with California. 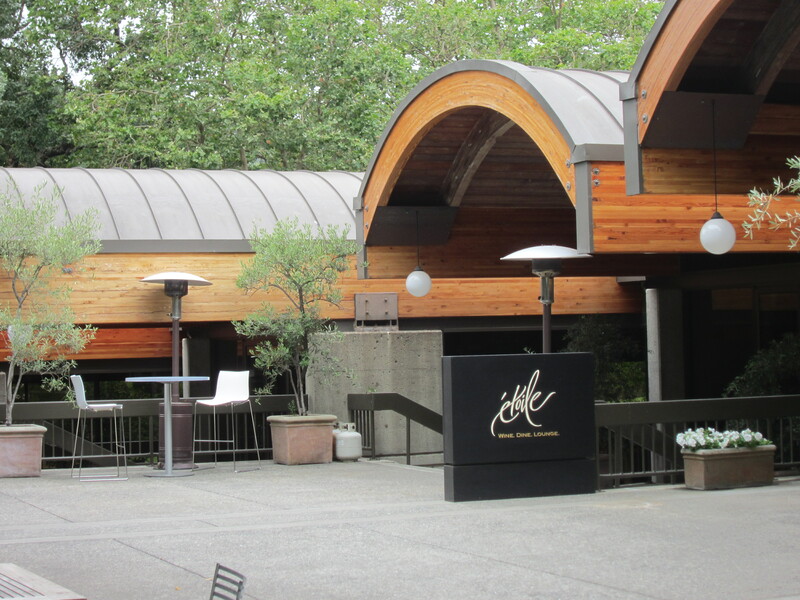 She met her boyfriend, Frankie, met at Domaine Chandon where they both work now. It was fun to visit with them both. Luckily Nicole had the day off so we toured around with her. 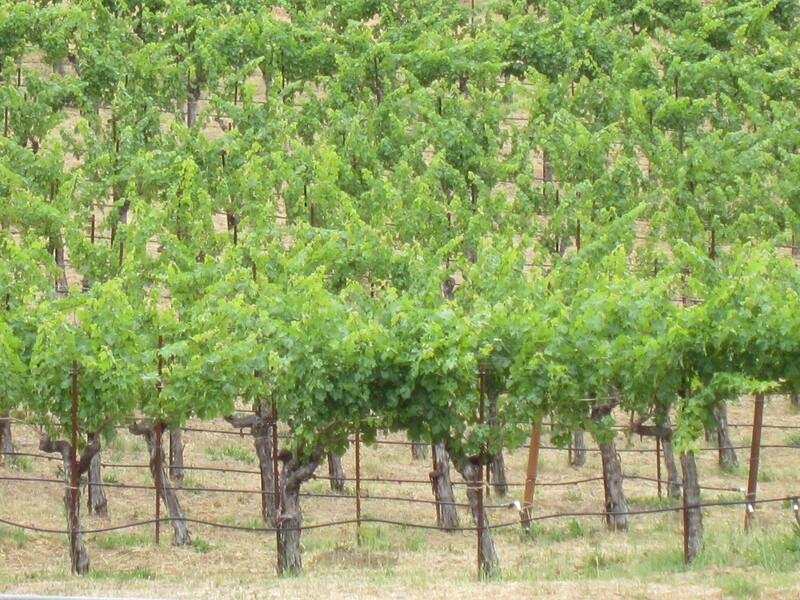 We started at Robert Sinskey, who makes one of our favorite Pinot Noirs. 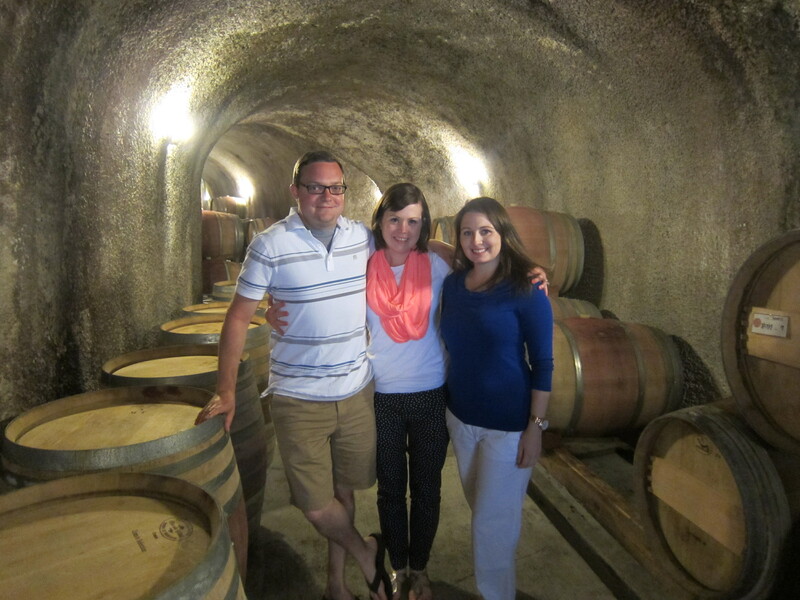 After a tasting we took a tour, which included an introduction to their process and then a tour of their caves. 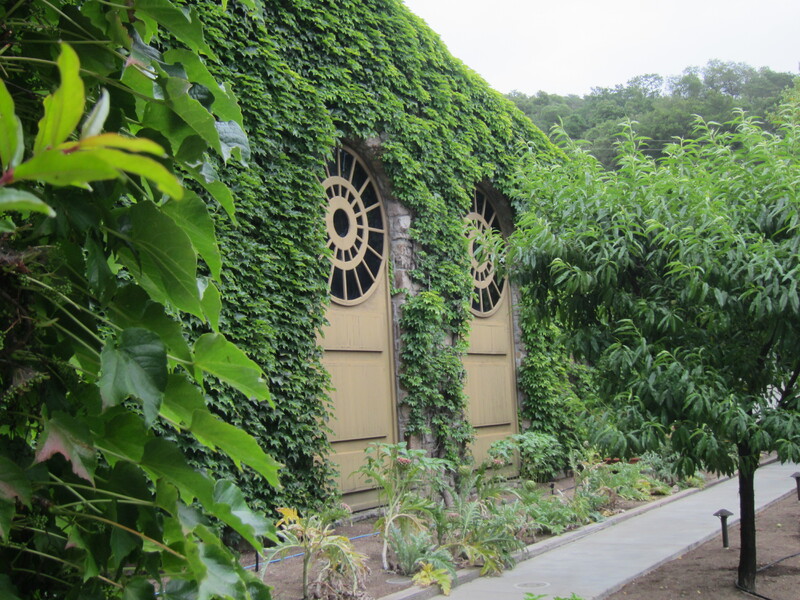 The founder, Dr. Sinskey, was an ophthalmologist so there are a little nods to his first profession throughout the vineyard. 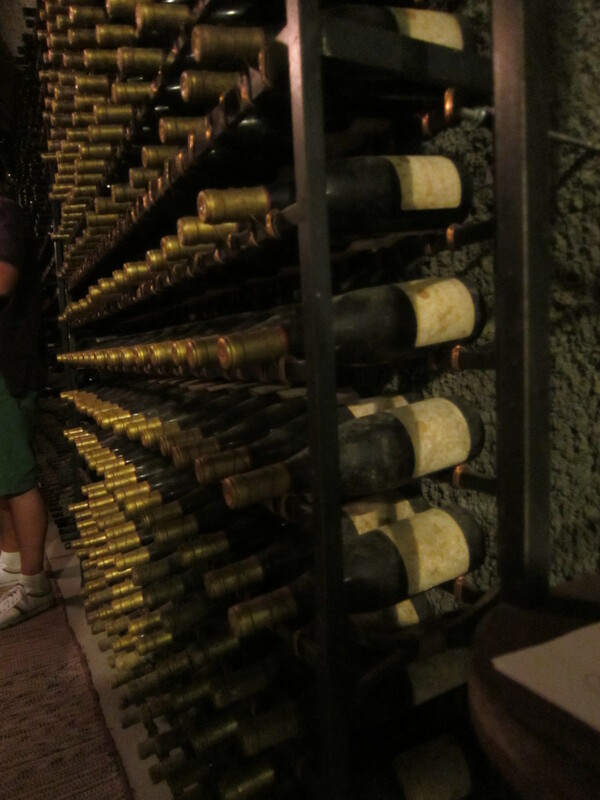 Robert Sinskey Vineyards keeps a bottle of every wine they’ve ever made in a library in their caves. Cool! 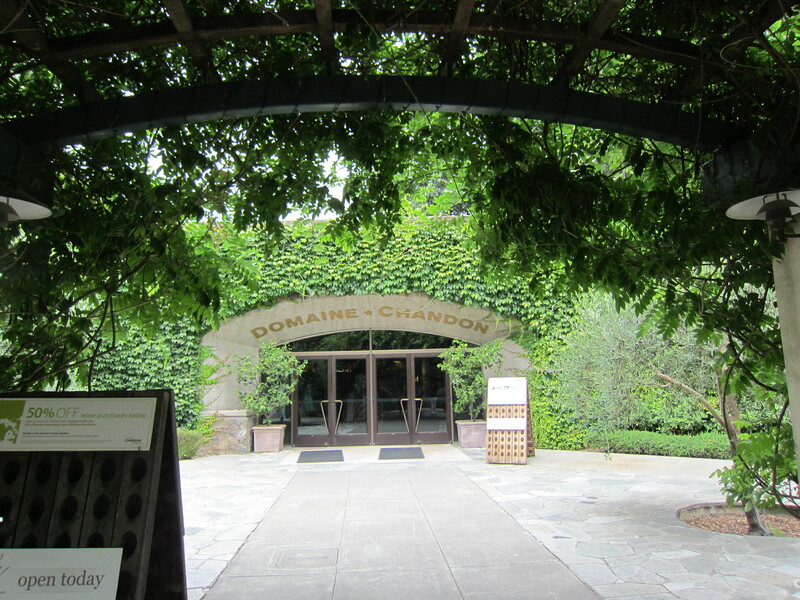 Then we headed to Domaine Chandon. They specialize in bubbles but we were able to try a few of their still wines as well. 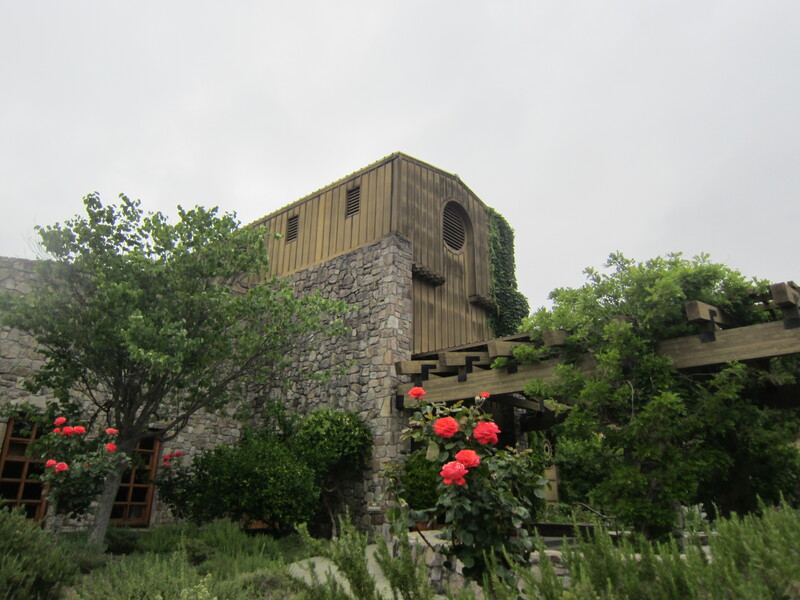 Domaine Chandon’s structure was designed to blend into the landscape and also play on wine barrels. 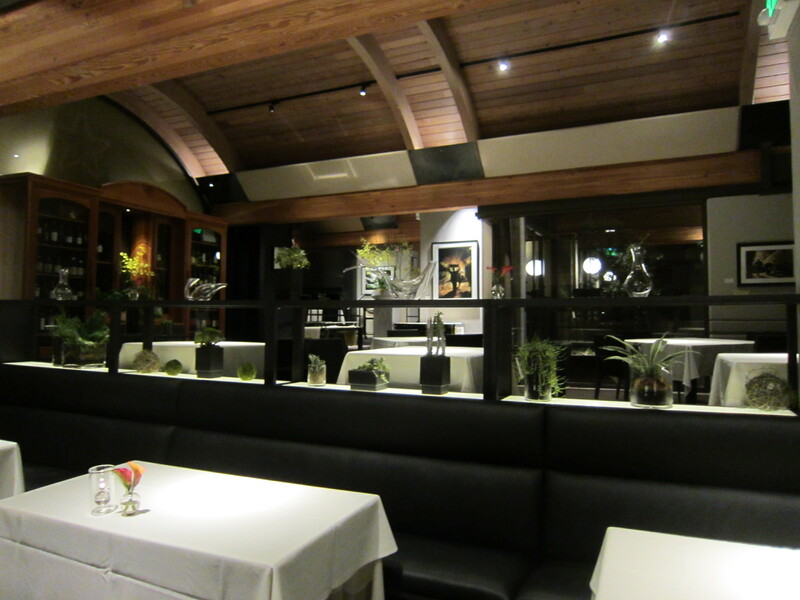 Frankie’s a chef at the restaurant within Domaine Chandon, étoile, so we all had dinner together there that night. 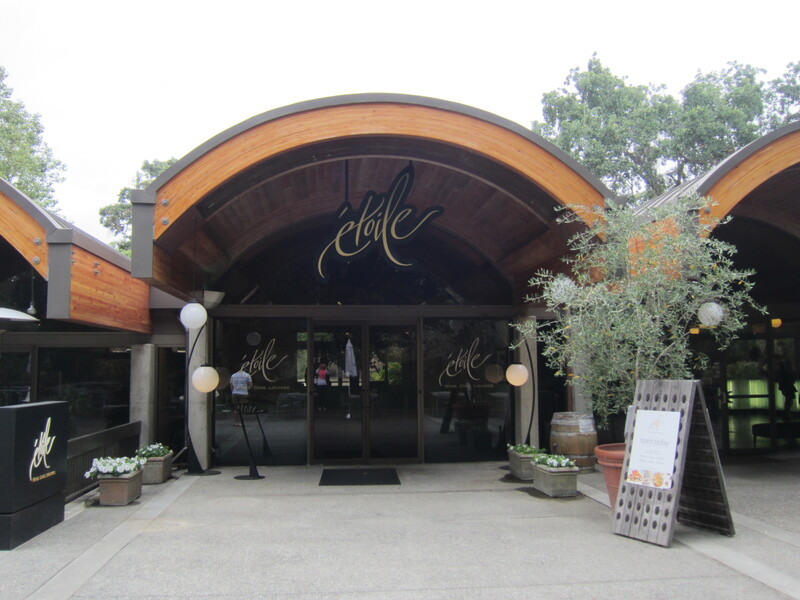 Earlier in our trip my mom connected the dots for us about why a place known for their Champagne would have a restaurant called étoile. When Dom Pérignon discovered he’d created Champagne he supposedly said that he was drinking the stars. And étoile is French for star. So clever! 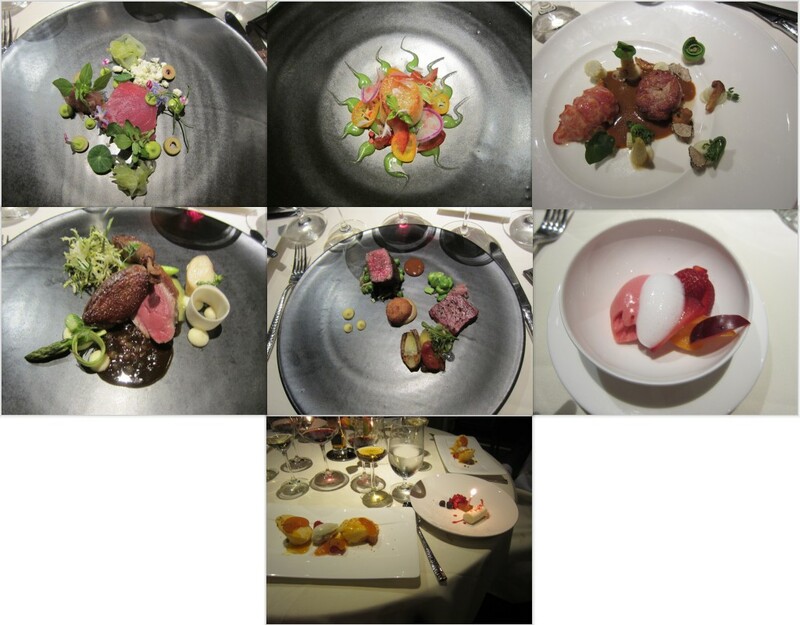 The food was not only delicious but was presented beautifully! 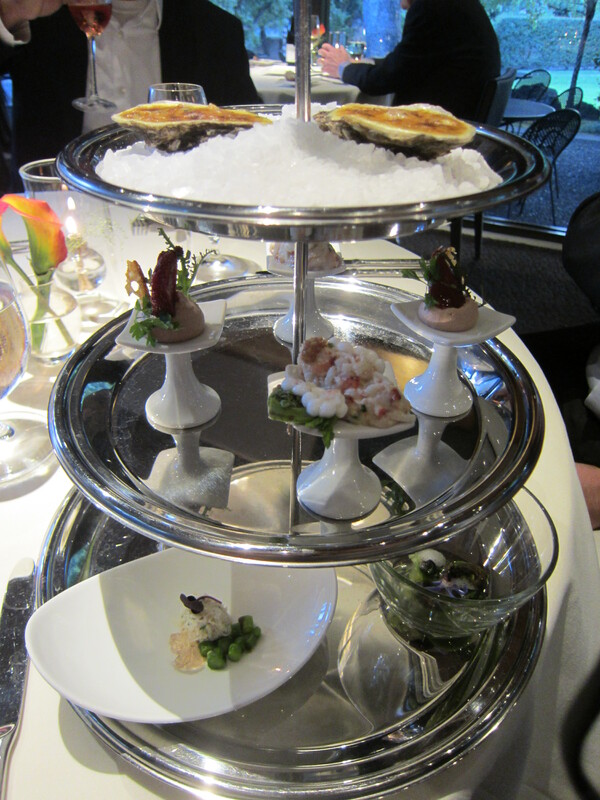 Even the palate cleanser was pretty! Frankie took us on a little tour of the back after we ate. 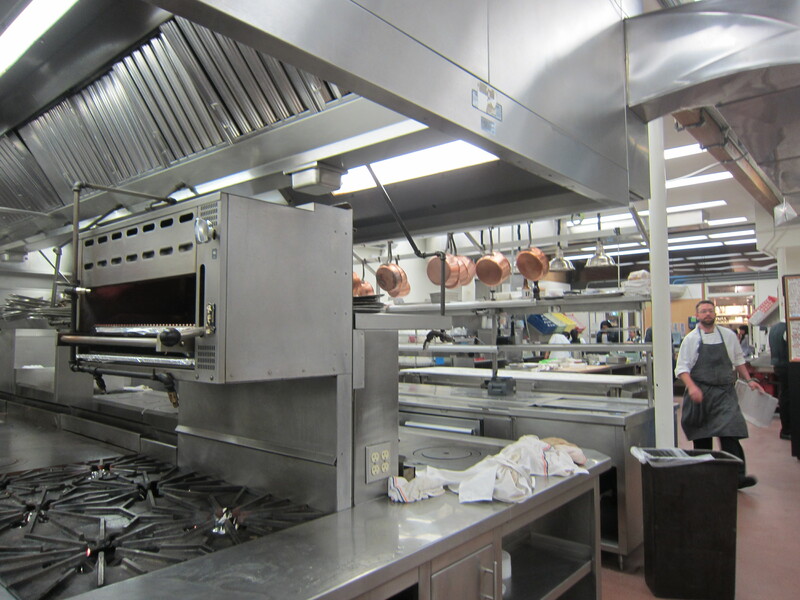 I got a little too excited about the equipment and food finds in the back that I failed to take a picture of our group. Frankie and Nicole also gave us a copy of the restaurant’s cookbook, and we are so excited to try out some of those recipes at our next dinner party.